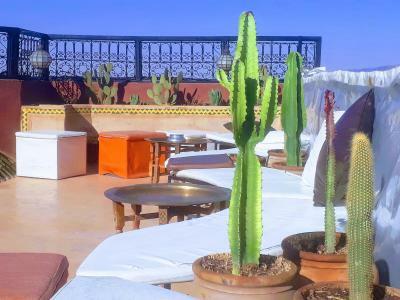 Lock in a great price for Equity Point Marrakech – rated 8.7 by recent guests! Very clean, bed is comfortable even I stayed share room. Bathroom also very clean. 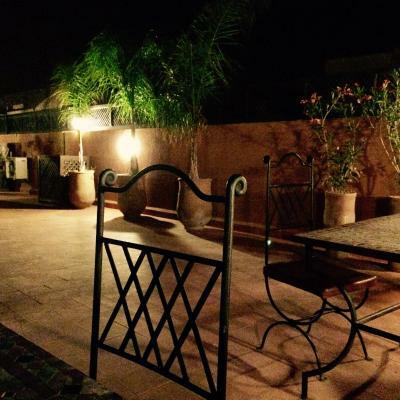 It was an amazing stay for a good value! The staff was friendly and warm! The breakfasts was wonderful! And the location! 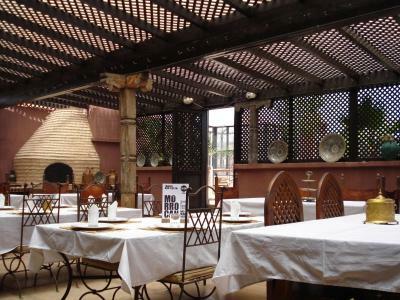 The location is the best, you just step out and you are in the market which is cool for me. 10 out of 10!!! 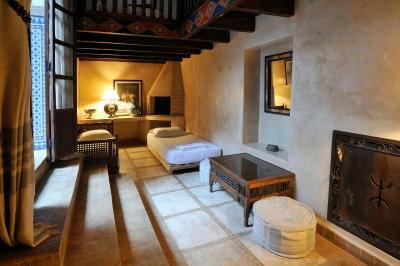 Everything except searching the way to the hostel Swimming pool Interiors and terrace are A-W-E-S-O-M-E!!! We booked a private room and it was HUGE. 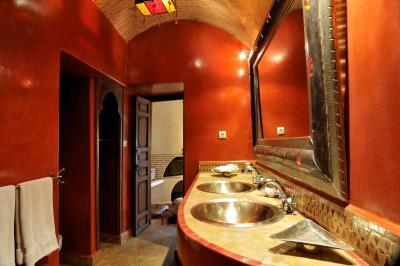 We had a luxurious big bathroom and a big comfortable bed. 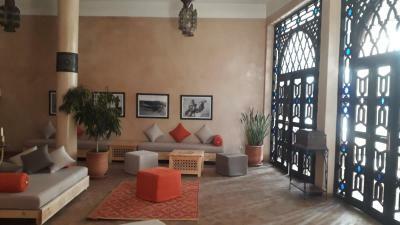 The upstairs restaurant and bar was perfect for us, because we had been traveling from the Sahara desert when we checked in so we were wrecked and wanted an easy meal with a glass of wine (which was actually cheap by the way, unlike most places in Marrakesh). We didn't have enough time to enjoy the pool but it looked amazing. Excellent hostel & cracking location. 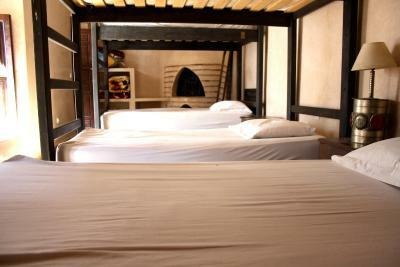 Bunk beds were so comfortable & the rooms were very spacious. Each person having their own locker too for their belongings was great. 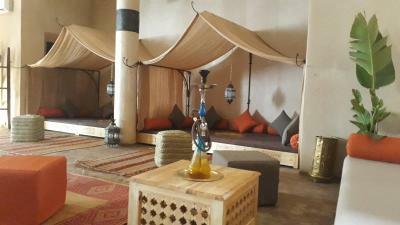 Wifi was the best than any hostels i'd been to before in Morocco. 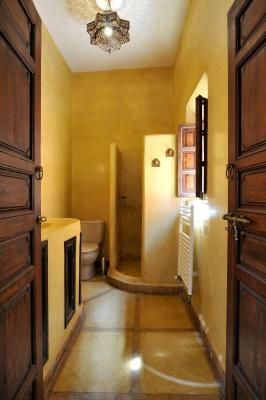 Bathroom in the room was perfect, cleanliness levels were great. Staff were so friendly and welcoming. I dealt mostly with Sara who was excellent. Aesthetically the place is beautiful. Thanks for everything! The breakfast is great, and the hotel is nice, I didn’t had the time to us the pool, but all the common places are super nice and cozy. Good location; friendly staff; very clean. Good wifi. Nice rooftop restaurant. Laundry in hotel. 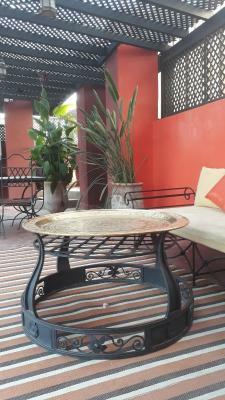 Great hostel with lots of different areas to hangout and socialize or have some quiet downtime. Helpful & kind staff. The pool is wonderful. 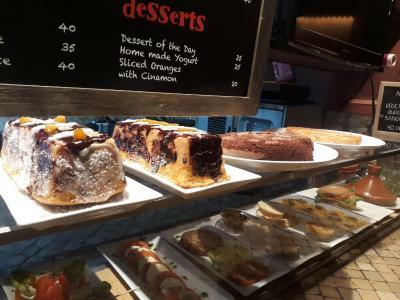 Breakfast is a buffet of yogurt, eggs, fruit, bread & cakes, OJ, etc. 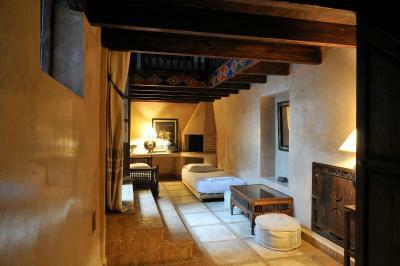 Very big space, clean rooms. Rocks a beautiful swimming pool. The staff is cool and very friendly. One of the best breakfasts I've had for a hostel. 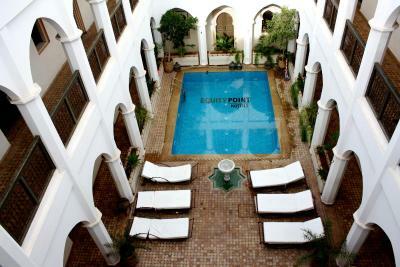 Equity Point Marrakech is located in the heart of the Medina, near the famous Jamaâ El Fna Square. 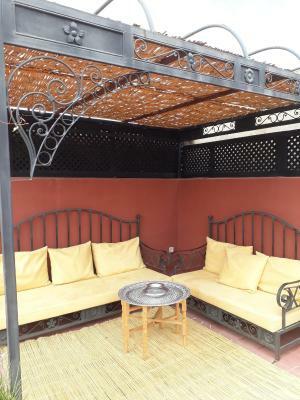 Its rooftop terrace provides amazing views of the area. 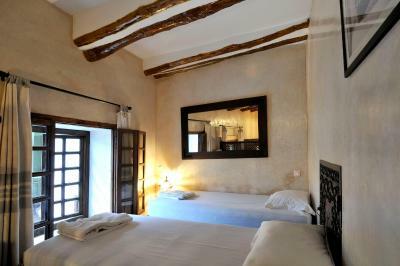 The guestrooms are well furnished and can sleep from 4 to 8 guests. 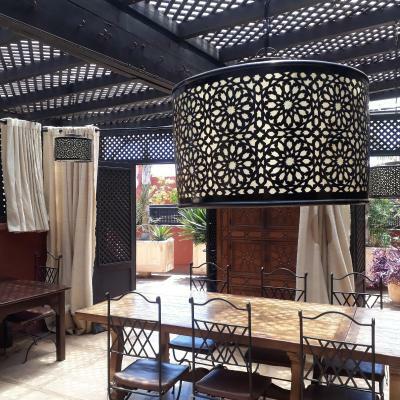 In the evening, guests can enjoy the softly lit inner courtyard. 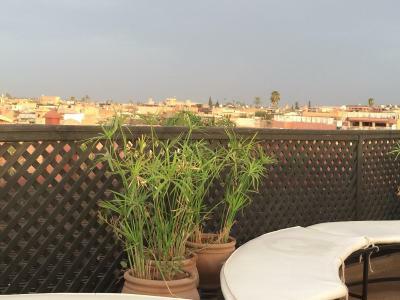 This affordable hostel also serves traditional Moroccan meals and a variety of drinks. 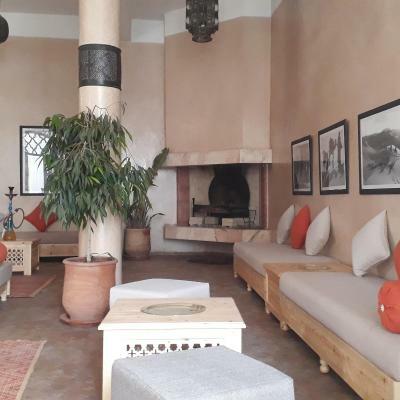 Equity Point Marrakech also has spacious and relaxing common areas with comfortable seating areas and free Wi-Fi internet access. 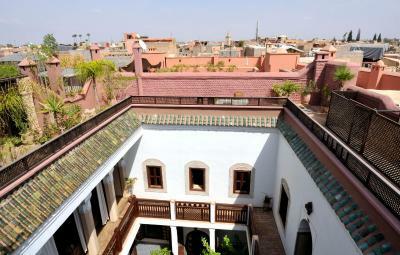 뀐 Located in the real heart of Marrakesh, this property has an excellent location score of 8.7! 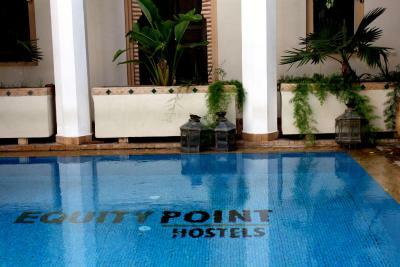 When would you like to stay at Equity Point Marrakech? 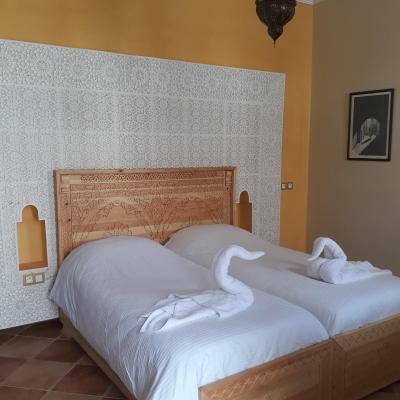 House Rules Equity Point Marrakech takes special requests – add in the next step! 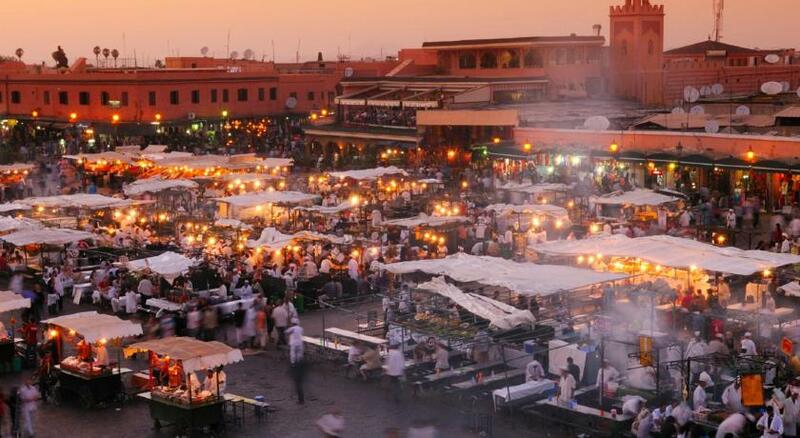 Equity Point Marrakech accepts these cards and reserves the right to temporarily hold an amount prior to arrival. 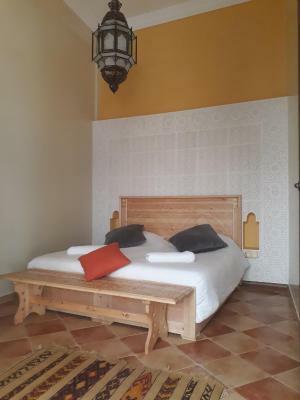 Please note that according to local law Moroccan nationals cannot be accommodated in dormitory rooms. 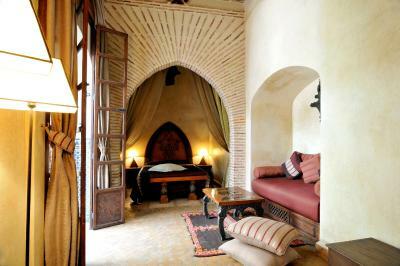 Moroccan nationals are requested to book private rooms. Fantastic experience! Everything exceeded our expectations. Kitchen facilities are poor, no cooking equipment which I would expect in a hostel. Breakfast was average. 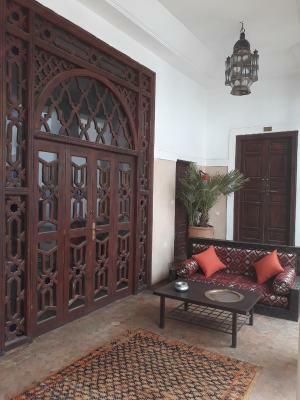 Location is absolutely perfect - 2 mins from the square but set back slightly to avoid the noise. Staff are great. This place was amazing! 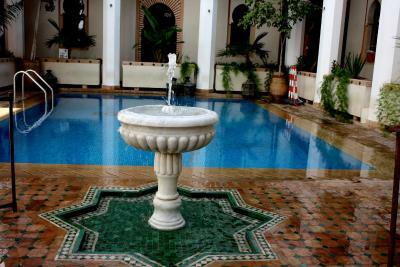 Although it was kinda hard to find, it is a oasis amongst the craziness and chaos of the Marrakesh medina! 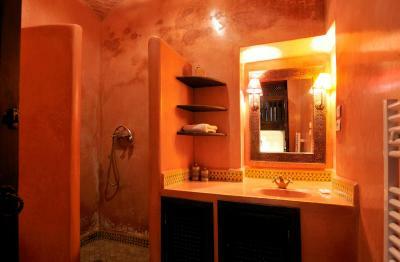 So clean and so beautiful, you won't ever want to leave! It is hard to find the place for the first time. 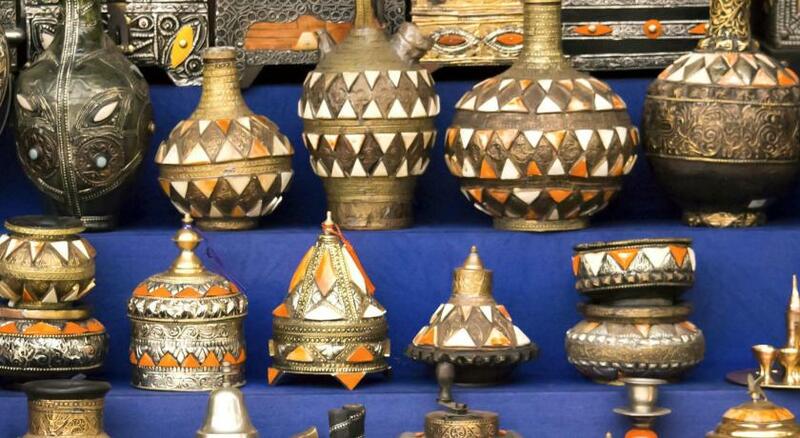 Especially there are local people offered to show the way for money. One traveller was asked for 20 euro before she could leave. 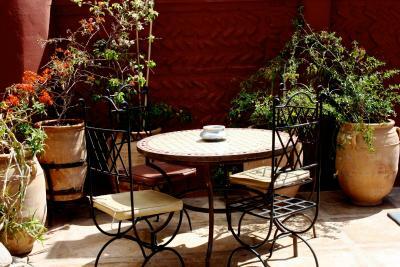 Awesome sitting areas and breakfast. Enormous place, a little impersonal. It's incredible that they do not provide paper maps of the surroundings in spite of being extremely difficult to find. I got lost more than once. Charging 10 drh extra for printing boarding passes seemed a little excessive. 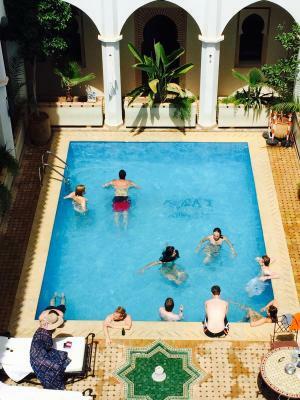 Beautiful hostel, great pool and rooftop. Very high standard. Staff is very competent. Very little, but to say one thing I'd say the smell in the shared toilet. 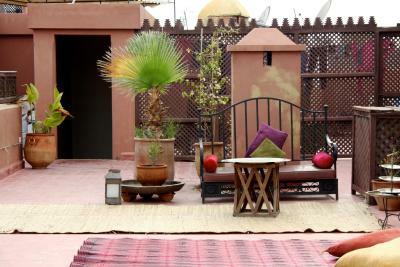 The beautiful hostel, terrace and location. 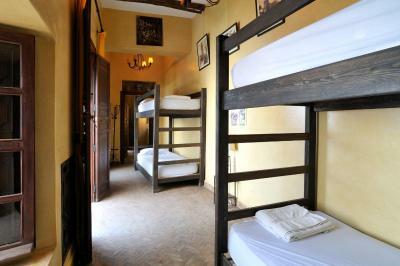 Beautiful hostel, with a relaxing feel and friendly staff. The free breakfast was great considering it was part of the price to stay. 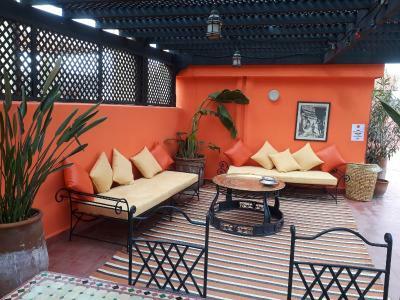 Located right in the heart of the souks so could easily get everywhere on foot. Amazing value for money would definitely reccommend this place! Some of the staff, the mattresses and the breakfast. The private room in the “old” building was moldy and dirty. They moved us the next day to another room though after our request. It can get noisy until late but it’s a hostel after all. 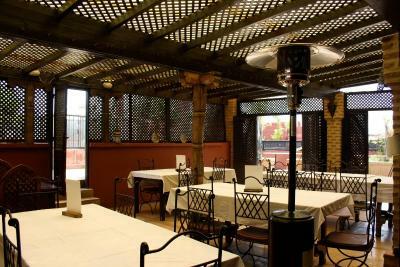 Location, the terrace and some of the staff. The private room in the “new” building. The staff could use some improvement. 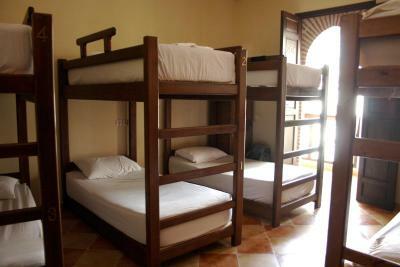 The hostel has security cameras running all of the time, as well as a door guard at night. 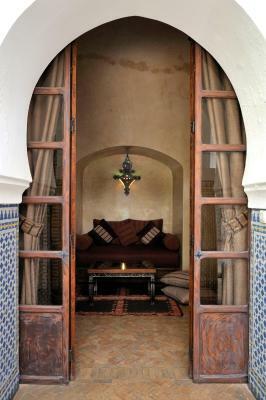 While standing outside smoking, the door guard asked me if I wanted to marry a Moroccan man... and that conversation went south rather quickly. Also, the hostel charges for towels. It's supposed to be a "rent," but the receptionist took 20 dh from me for the towel and another 20 dh for the rent (40 dh total). I didn't read the sign by the towels until a few days later, where I realized that the whole thing should've been 20 dh that I would've gotten back when I returned my towel. 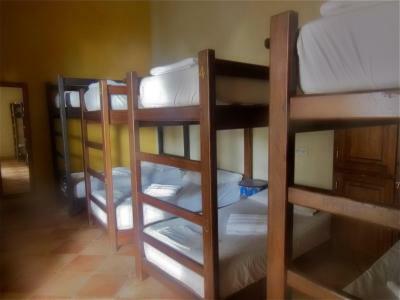 I was in a four person bunk (as a female) with three men for most nights. It was a tighter space than I'm accustomed to for mixed gender accommodations. 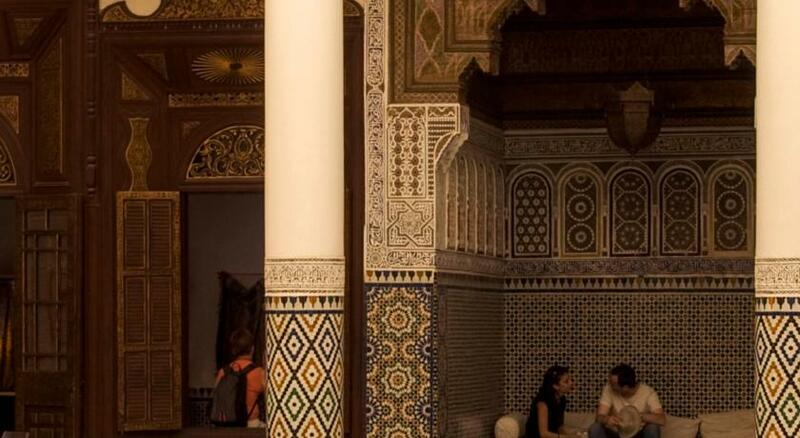 Since the Medina is very long, it seemed like a lot to navigate in the dark (early morning or after sunset). After dinner one night, some kids were waiting in the street on the way to the hostel and pretended to "show me the way" to my hostel - even though I said that I didn't want or need help. When we arrived at the hostel, the kid put his hand over the buzzer to keep me from notifying the desk to let me in... So, I ended up paying him 10 dh to get him out of the way. Equity Point offers an airport shuttle and luggage carrier for a small fee - these two are a MUST if you are traveling with a lot of luggage. 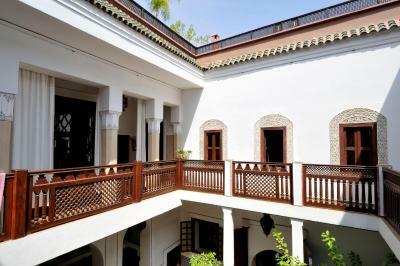 The hostel is in the middle of the Medina, and it would take both a lot of time and energy to find the hostel while carrying luggage. I was very thankful for the luggage carrier. 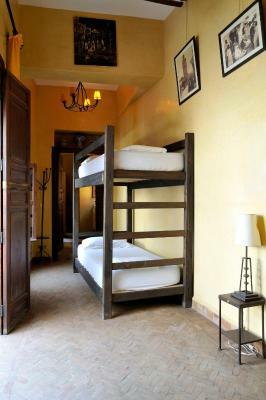 The hostel is beautiful and well worth the money. 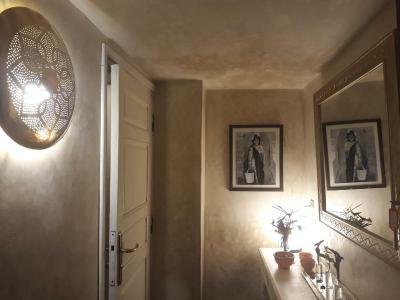 Room looked like the photos. Terrace looked like the photos. Pool looked like the photos. 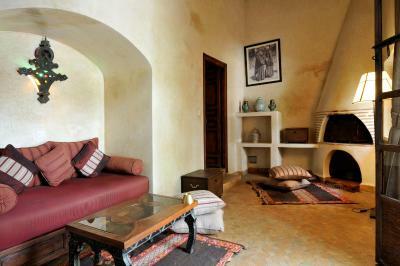 It's also situated very close to where the tour shuttles pick you up to go to the desert or Essaouira and other places. The washer and dryer use tokens, which may be obtained from the front desk. I bought a single pack of detergent from a convenience store right outside the Medina.